OP-ED BY CONGRESSMAN SANFORD D. BISHOP, JR. Throughout my career in Congress I have maintained a reputation for working across the aisle to craft and enact sensible policies and sensible budgets on a bipartisan basis. My only litmus test has been whether a particular bill, budget, resolution, or other action will improve the lives of the hard working people of the Second Congressional District of Georgia. This principle has guided my actions since I was elected to Congress 24 years ago. And when analyzing President Trump’s 2018 Budget Blueprint with this metric, I am led to the inescapable conclusion that the President’s budget would be a recipe for disaster for our country and for the people of the Second Congressional District of Georgia. Budgets reflect values. They reflect a prioritization of scarce resources. Although a President’s proposed budget is just the beginning of a lengthy negotiating process with Congress, it is nonetheless a signal of what that administration does and does not care about. Unfortunately, this administration’s 2018 Budget Blueprint speaks loud and clear that it does not value rural communities nor their contributions to the United States. This budget seeks to eliminate vital programs and reduce resources for our workers, our farmers, our students and teachers, and our seniors. This budget would inhibit our nation’s ability to innovate in an increasingly competitive world, and would drastically curtail vital safety nets for our most vulnerable populations. Georgia is an agriculture state with 42,000 farms, and agriculture contributes $71 billion annually to the state and national economy. Likewise, Georgia’s 2nd Congressional District, which I have the honor of representing, is an agriculture district, leading the state in peanuts, cotton, pecans, fruits, and vegetables, as well as family-owned timberlands. Of the 29 counties in the congressional district, 26 are rural, with average populations of between 10,000 to 15,000 people. We are a major contributor to the $133 billion worth of agriculture products that the United States exports annually. And never forget that a nation is only as strong as its ability to feed its people. Our country does that and more due to agribusiness that emanates from rural communities in Georgia and across America. By proposing a cut of over 20 percent to the USDA, it is clear that the current administration does not appreciate the role our agriculture sector plays in sustaining our quality of life, nor the vital role USDA plays in supporting both rural communities and the nation more broadly. The President’s budget seeks to eliminate funding for rural infrastructure, cut staffing at USDA Service Centers, and reduce rural business assistance. Instead of creating efficiencies, such cuts would simply make it harder for everyone, and ultimately more difficult for our country to continue to produce the highest quality, safest, most abundant, and most economical food and fiber in the industrialized world. The President’s budget would cut funding for the Department of Education by 13 percent. It would end programs that provide support and training to frontline educators. It would eliminate Impact Aid, which provides assistance to school districts whose tax base is limited due to federally owned land, including military bases. Most troubling, it would cut before and after school programs, as well as summer programs, which provide a vital educational support system for students, and are also often a key source of nutritional support. With the world growing increasingly more competitive, and science, technology, engineering and mathematics (STEM) becoming increasingly important, eliminating such foundational programs for our students is a major step in the wrong direction. The President’s budget proposes double digit cuts to the U.S. Department of Housing and Urban Development (HUD). It would completely eliminate the Community Development Block Grant Program (CDBG), which supports small towns and cities across the nation. CDBG provides states and localities with the flexibility to target their own unique needs. 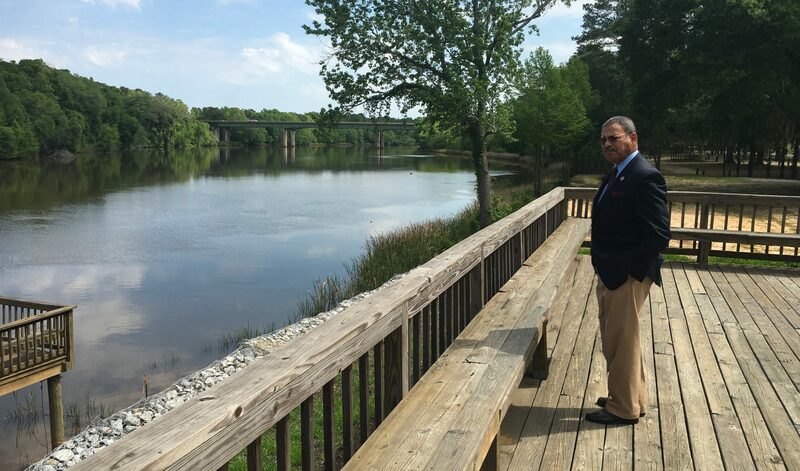 Last year, this program funded $8 million in water infrastructure and neighborhood revitalization projects across the Georgia’s Second Congressional District alone. It also helps fund Meals on Wheels programs nationwide. Furthermore, CDBG is used to supplement FEMA assistance and help communities, such as Albany, rebuild after disasters. Under President Trump’s budget, this resource would disappear completely. Such cuts would directly, dramatically, and negatively impact the people of the Second Congressional District of Georgia. Fortunately, as I noted earlier, the President must ultimately work with Congress to pass a budget. As a member of the House Appropriations Committee, and the top Democrat on the Agriculture Appropriations Subcommittee, I look forward to working with the administration, and with my congressional colleagues on both sides of the aisle, to formulate a budget that protects and strengthens rural communities. It is imperative that we craft a budget that recognizes not only the importance of a strong national defense, but also the importance of strong communities, strong schools, and a strong agricultural base. U.S. Congressman Sanford D. Bishop, Jr. has represented Georgia’s 2nd Congressional District covering Middle and Southwest Georgia since 1993. A member of the House Appropriations Committee, Congressman Bishop serves as Ranking Member of the Subcommittee on Agriculture, and also sits on the Subcommittee on Military Construction and Veteran Affairs and the Subcommittee on Financial Services and General Government. Congressman Bishop is ranked Number 13 on the Bipartisan Index created by the McCourt School of Public Policy and The Lugar Center.